NASHVILLE, Tenn. (August 3, 2016) – Country croonerTravis Tritt will be joiningChris Stapleton, Kid Rockand Larry The Cable Guy to celebrate with Charlie Daniels at his 80th Birthday Volunteer Jam on November 30 at Bridgestone Arena. Tritt, known for hits like “Here’s A Quarter (Call Someone Who Cares),” “It’s A Great Day to Be Alive,” “Anymore,” “Help Me Hold On” and more, will join Daniels on stage for what will be remembered as one of the best Volunteer Jams to date. Tickets for the much anticipated event are on sale now at all Ticketmasterlocations and theBridgestone Arena Box Office. Ticket prices start at $25.00. A portion of the proceeds from the night will go to the The Journey Home Project, a 501(c)(3) non-profit co-founded by Daniels and manager, David Corlew, to help Veterans of the United States Armed Forces. For more info on The Journey Home Project, please visit:thejourneyhomeproject.org. With a career spanning over 50 years and exceeding 20 million in sales worldwideCharlie Daniels is the quintessential Southerner with a healthy dose of Wild West Cowboy. For decades, he has connected with his millions of fans in the varying genres of music that reflect his steadfast refusal to label his music as anything other than the "Charlie Daniels Band" sound — music that is now sung around the fire at 4-H Club and scout camps, helped elect an American President, and been popularized on a variety of radio formats. Having celebrated multiple GRAMMY® Awards, CMA Awards, ACM Awards, BMI Awards, GMA Dove Awards, CMA Awards, his list of accolades is broad. Six of his albums have been RIAA Certified Multi-Platinum® and he has achieved a platinum-selling single in his iconic fiddle-ridden hit, "Devil Went Down To Georgia." An outspoken American Patriot and strong supporter of the U.S. Military, Daniels' talked-about Volunteer Jam concerts are world-famous musical extravaganzas featuring artists like Lynyrd Skynyrd, Ted Nugent, Trace Adkins, Alabama and others, all on one stage for one purpose – to raise funds for our U.S. Military. His 40th Anniversary Volunteer Jam held in 2015 raised over $300,000 for The Journey Home Project, a non-profit veteran’s assistance organization, which he co-founded with his manager, David Corlew. 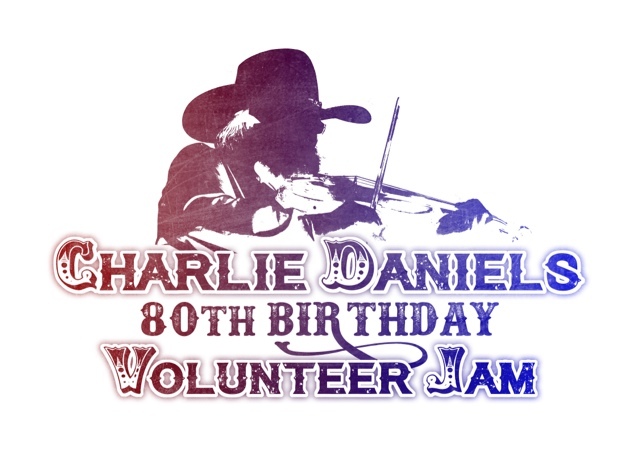 For more information on Charlie Daniels, please visitwww.charliedaniels.com. More than 25 years afterTravis Tritt launched his music career, the Grammy award-winning artist continues to sell-out shows, top sales charts and stay true and relevant to Country music fans across the globe. A Marietta, Ga. native, Travis Tritt is dubbed one of “The Class of ‘89,” which included Country music superstars Garth Brooks, Clint Black and Alan Jackson; all of whom dominated the charts in the early ‘90s. Among his eleven studio albums and numerous charted singles are nineteen Top 10 hits, including “Modern Day Bonnie and Clyde,” “Love Of A Woman” and “T-R-O-U-B-L-E.” His 25 year career has produced millions in album sales, two Grammy award wins and multiple No. 1 singles on the Country radio charts. Tritt formed Post Oak Recordings in 2012 and released his album The Calm After... through his own record label. In 2014-2015, the Southern-rock influenced Country artist topped the SoundScan Top 200 Catalog Country Albums chart for over 50 consecutive weeks for his album, The Very Best of Travis Tritt. For more information on Travis Tritt, visit his websiteTravisTritt.com and follow him on Twitter andFacebook. Chris Stapleton boldly introduced himself to the public at-large in 2015 with the release of his breakthrough debut album,Traveller. Released in May on Mercury Records Nashville,Traveller initially debuted at No. 2 on the BillboardCountry Albums chart with more than 27,000 albums sold, making it one of the best-selling first weeks by a debut country artist in 2015. Following a historic turn on the CMA Awards—where Stapleton became the first artist to win Album of the Year, Male Vocalist of the Year and New Artist of the Year at the same awards—Traveller became the first album to re-enter the Billboard 200 all-genre album chart at No. 1, where it stayed for two straight weeks. The breakthrough success continued earlier this year at the 58th Annual Grammy Awards, where Stapleton took home two awards for Best Country Album and Best Country Solo Performance (“Traveller”). Most recently, Stapleton won six awards at the 51st Annual ACM Awards—Album of the Year (for Traveller as both artist and producer), Song of the Year (for “Nobody To Blame” as both artist and songwriter), Male Vocalist of the Year and New Male Vocalist of the Year. With the six wins, Stapleton ties the record for most ACM Awards won in a single year (only Garth Brooks and Faith Hill have previously won six in the same year).